Scanning is where we started. For over 12 years we have continually refined our processes to ensure that you receive the best scans possible from your film. Our scanning methodology is focused towards giving you a file that provides maximum detail and flexibility, and offers greater fine art printing options. You will receive scans that are deliberately unprocessed - with absolutely no clipping or sharpening. We return to you accurate scans, perfect for further processing. You retain maximum detail and are given a file that allows you to make all the creative decisions. 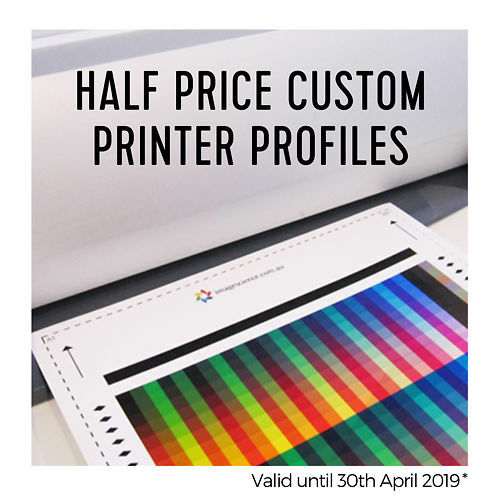 Our premium service continues to be the most affordable in the industry - at least 50% lower than others, whilst still producing higher quality results. We use one of the best scanners ever made - the Imacon Flextight 949 film scanner, which produces scans that are sharp, colour accurate, and rich in detail. The Flextight 949, with it's unique 'air drum' approach, offers the excellent edge to edge sharpness of drum scanners, without the need for messy oil mounting - your film will come back to you in exactly the condition you supply it. We work with all different levels of clients including many of Australia's top photographers such as National Geographic Photographer Jason Edwards, but also keen amateurs and even those who simply wish to create archival quality digital files of their family history. Send your films to us via mail, or drop in to see us at our North Melbourne office. Make sure you supply your films in scan ready strips and pack them flat & securely to protect them from unexpected damage and always send them via a track-able post service. When we receive your films and your matching online order we start scanning. Our turnaround times are normally 1-2 days, but may be longer based on our current workload or if you have a larger order. Once your order has been completed, your scans will be burned to an archival DVD (or even better supply your own USB stick/drive if preferred), and we will notify you that your film and disk are ready to collect or have been posted. We are able to scan colour negative, positives and black & white of all popular film formats on the Flextight 949. 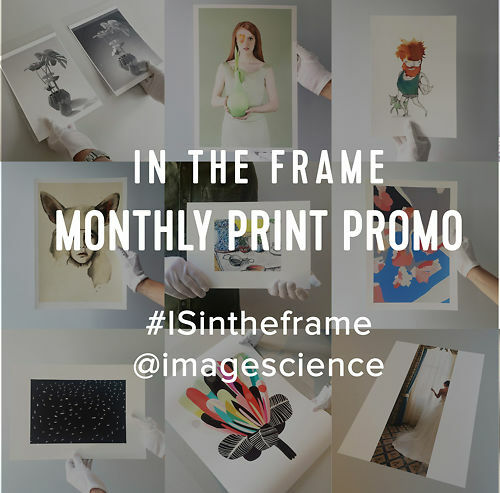 This includes 35mm, x-pan (double frame 35mm, aka 24x65mm), typical medium formats (6x6, 6x7, 6x9cm), as well as 6x4.5cm, 6x12cm, 6x17cm, & large format (4x5inch). When scanning on the Imacon Flextight 949, we can only scan images on the edges of short strips - so make sure your strips are 4 or less images in length (35mm), 2 or less in length (all medium formats up to 6 by 12cm), or singles (6 by 17cm and 4 by 5 inch). Singles are OK too, however leave as much rebate as you can around the edges. Please do not supply us with uncut rolls of film. If sending your film to us please just send the film strips you want scanned, flat and in plastic sleeves. Be consistent and clear about which images you want scanned. Make sure you pack your film well - most of our clients use stiff board, like foamcore, to keep their film flat, wrapped in bubble wrap and placed in a Postpak box. Always send via a track-able post service such as Registered Post. You will receive an unprocessed, positive file - tiff format in AdobeRGB 1998 colour space. This gives you the best possible file from your film - with maximum detail, and in turn maximum flexibility, to produce a high quality fine art print. Note: All film is cleaned here with pure compressed air before scanning but you will be required to do some final spot cleaning to get rid of any dust/scratches that remains. We can also do this for you here as part of our retouching service. Can you scan old KodaChrome Film? Yes we can. Modern scanners are best with E6 but still do very well with other film types. It's likely you'll have to do a little more colour work in your post processing though. What type of slide mounts can you scan? All 35mm film can be scanned in mounts. All other film sizes must be removed from any mounts by you before you supply them to us. Do you clean my film before scanning? We clean your film with high velocity pure compressed air before scanning. The compressed air removes loose major dust particles, but some final minor spot cleaning will still be required after receiving your scans. We do not wipe your scans as the risk of scratching them is too high so if you have really old or dirty film we advise you to clean your film yourself before getting it scanned, see below for details. You will need to do final digital dust and scratch cleaning on all files. Typically this takes about 5 to 10 minutes per frame for film in good condition. We can also do this for you here as part of our retouching service. What is the best way to clean my film? PEC-12 is a non damaging, archival, film cleaning product and the best option we've found, especially when used in conjunction with PEC pads, (very soft lint free disposable wipes). It's not cheap but a little goes a long way. You can buy this online. Do you have bulk scanning pricing? If you have a large job (over $500) you can contact us to give you a quote as we may be able to offer you a discount. What resolution should I have my film scanned at? We have two different size scans you can choose from for each film type - Medium or High. Every film format and film type is different, but as a rule of thumb a medium resolution scan will enlarge up to A2 and a high resolution scan up to A1 and beyond. Read more about scanning resolutions here. What file size will my final scan be and how large can I print it? All information regarding file size and print dimensions for scans can be found here. Can you scan in colour spaces other than Adobe 1998 RGB?? We are happy to scan directly into your preferred colour space - just let us know when you place your order. Our default colour space is Adobe 1998 RGB as this is the industry standard, as defined by the AIPP and ACMP digital guidelines. Do you scan at 8 or 16 bit? We only scan at 16 bit which allows for more detail, smooth tonal transitions and an overall better quality result. 8 bit scans are less malleable and can lead to banding issues, especially if you're processing heavily after the initial scan. Read more on 8 bit versus 16 bit scans here. We will never interpolate your files. We only ever scan at the native optical resolutions of the scanner. Can you scan the full frame of my film including the rebate? No, the film holders for each film format do crop the image area approximately 1mm on each side. Considering you receive more than you initially saw through the viewfinder when taking the photograph this generally shouldn't be a problem. The holders work like this because they can then hold the image area extraordinarily flat, which results in superior scan sharpness. Can I have my negatives scanned as RAW files in 3F format? Yes - this is the approach we strongly recommend with all colour negative film. Just be sure to request this in the comments section when you place your order. 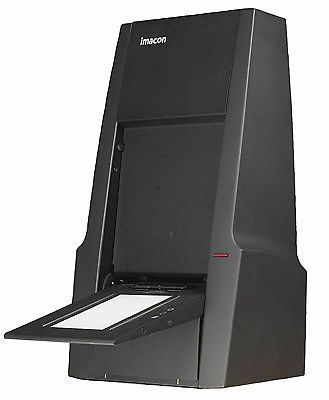 The Imacon FlexColor Scanner allows you to produce a proper RAW 3F file, which you can then 'develop' on a virtual scanner in the FlexColor software. This allows you to get the best possible results with negative film, as you can experiment with ALL the features & profiles available in FlexColor for negative processing. To read more about Imacon RAW files click here. How do you supply my files to me after they are scanned? By default, your scans will be burnt to an archival Taiyo Yuden DVD at no extra charge. DVDs are very slow and we are finding that customers are happy to supply their own USB hard drive or stick, which results in a quicker workflow for everyone. Can you upload my scans? Unfortunately we can not upload your high resolution scans. The file sizes that we generate can take hours and hours to upload and these can in turn slow the rest of our connection required for things like downloading of files we need to print for our customers. If/when the NBN connection comes to our area, this will allow us to upload large files quickly and will be able to offer this service instead of burning your scans to a DVD. Step one is to check your files and back them up to other media. We keep your files on our server for about a month after your scanning job, so let us know if there are disc reading errors, and we will re-burn them for you. Crop the image to the desired crop. Set the black and white points using a curve adjustment and make any other global contrast/colour adjustments required. Clean the background layer of any remaining dust and scratches. Make any other localised adjustments if required. Make any final layer adjustments. Flatten the image and size appropriately for your print process (eg. ideally 300PPI as a rule of thumb for prints). Sharpen if desired, and send for Print. Why do my scans appear flat? Your files may initially look a little flat compared to other scans you have had done. This is deliberate, and because the final black and white points have not yet been set. We prefer not to clip your scans as this gives you more detail and flexibility over your files - you retain the control of your images so you can make the best prints possible. Read more on our Scanning Methodology here. How do I process my Imacon RAW files in 3F format in FlexColour? Download the manuals from http://www.hasselblad.co.uk/service--support/technical-support/manuals.aspx - you will need to review these to use the software properly, and understand the steps below. Install the extra film negative profiles also found in the installation package. Run FlexColor - use the preferences to put it in 'Scanner Only' mode, and then re-start FlexColor. Now you must use the 'ScratchPad' functionality - open the ScratchPad and point it at the RAW files you have received from us. On the PC you can point it at any folder but on the Mac you must put it in the special ScratchPad folder found on your desktop. Open a file, and then process it in FlexColor using the various tools - start by experimenting with different base film types (profiles) until you get a starting point you like, then use the other tools (curves etc) to refine to your liking. Remember when you change each base film type to hit the 'A' button to trigger it to apply the new profile. Save your completed 'scan' as a TIFF. You can repeat this process and do things like two scans, one for highlights, one for shadows, then merge the TIFFs in Photoshop. You will need to experiment with the software and develop a feel for how it works. Although this may take some time, once you become comfortable with the FlexColour software you will have a very powerful workflow that can give you complete control of your scanning outcomes.